Every year the Birthday Brew badge rolls around. This year I was pretty sick on the day but still toughed out dinner with the family. A Little Creatures Pale Ale was all I could get down. It's a great beer and you can ready my previous review of it here. Paulaner Oktoberfest beer earned me two badges; the special Paulaner Oktoberfest Badge and Das Boot (Level 7) - for drinking German beers. It's a wonderfully sessionable lager which I was almost 100% sure I'd reviewed this previously, but apparently I haven't... Something to look forward to in the future Oktoberfest beer lovers! Untappd recently turned 4! To celebrate they released a special Untappd 4th anniversary, simply check-in to any beer before October 31 and this badge is yours. 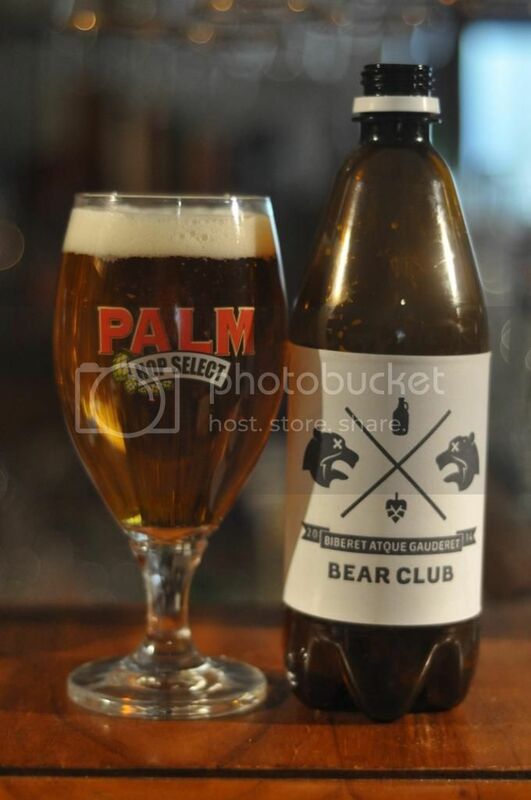 My beer was Palm's Hop Select, a beer that I will review in greater detail in this months Bear Club review. As someone who doesn't really understand Belgian Pale Ales I didn't think it had enough of anything to really stand out from the crowd. So there we have a quick wrap up of my last month of Untappd stuff that hasn't already been detailed on Beer O'Clock Australia. There's plenty of reviews to look forward to over the next month, including a sour one I'm about to start writing for all of you who keep asking for more. As usual feel free to shoot me an email anytime; gus.norris7@gmail.com.